Matthew Wiener is the head of the Aon Risk Solutions’ Transaction Liability team for the Southwest region. In this role, Mr. Wiener is responsible for the development and implementation of transactional-based risk solutions, including the deployment of insurance capital for M&A transactions through representations and warranties, litigation, tax and other contingent liabilities insurance. Mr. Wiener is based in Houston and is further supported by a New York-based team of 20 professionals in North America and colleagues in London, Hong Kong, Sydney and Bermuda who focus exclusively on transactional risk transfer. 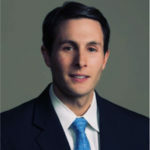 Prior to joining the Aon Team, Matthew was an attorney at Vinson & Elkins LLP, where he specialized in corporate finance and securities law matters, including mergers and acquisitions, private equity, public and private securities offerings, divestitures, and general corporate representation.